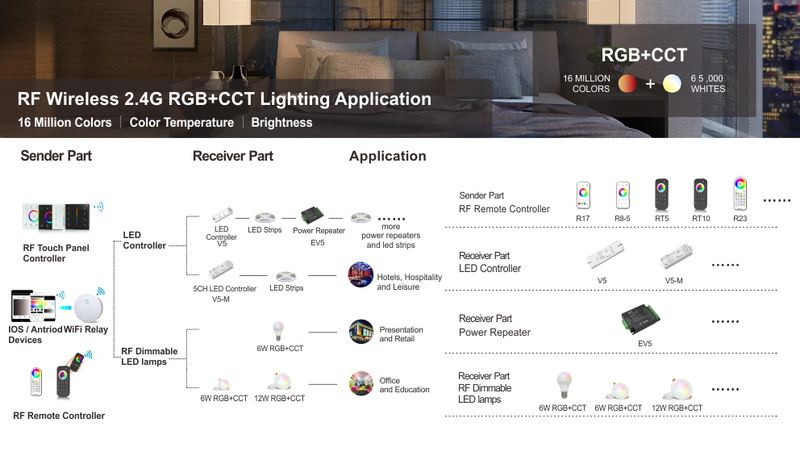 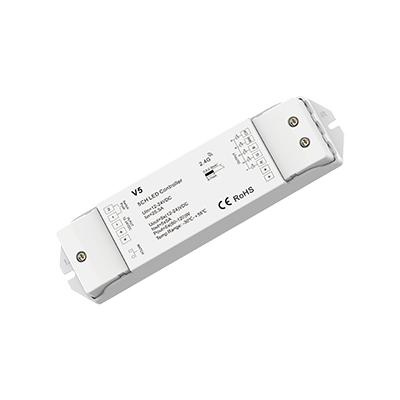 Used on LED lighting with joint RGB and color temperature inside, as well as on separate RGB and color temperature LED lighting. 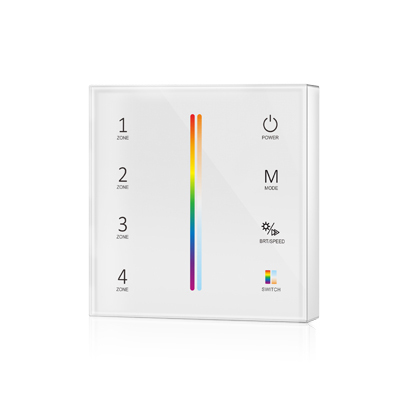 It adjusts color temperature, creating colorful static or dynamic effects. 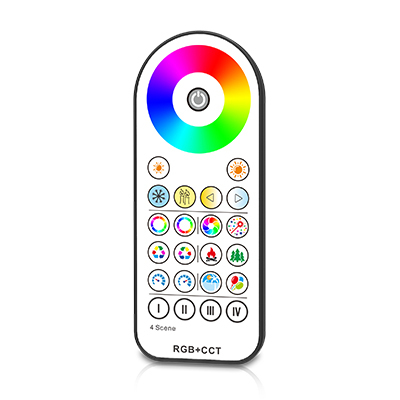 With 2.4GHz wireless technology, it can accept up to 10 remote controls. 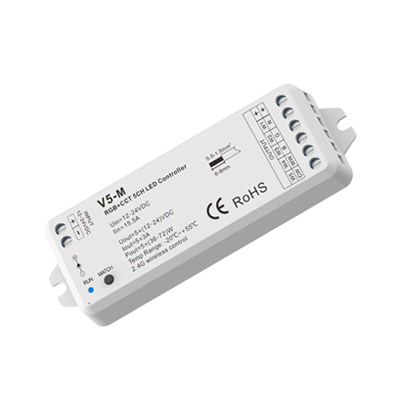 One controller can transmit the signal another controller within a 100m distance.